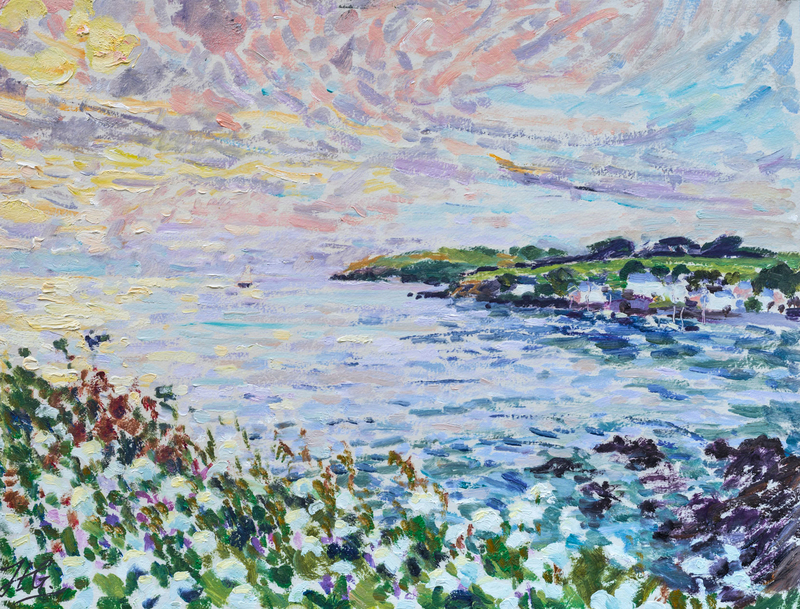 Dawn from the Cornish Cliffs | Oil on Board 19" x 25"
Hugo started his career as the visiting tutor to the Gorhambury Group in 1990, before setting up the hugely popular Red House Summer School in Suffolk, which thrived on teaching a wide range of students how to paint. Travelling from as far afield as the Ukraine and Colombia, many students returned each summer to seek inspiration from the latest courses, in which painting was always taught both as an idea and as a craft, and often with reference to what the modern masters themselves had written and said about painting. This rare approach to teaching art, combined with Hugo’s international reputation as one of Britain’s leading colourist painters, has resulted in Hugo being invited to teach and lecture at a variety of institutions including the V&A Museum, Falmouth School of Art, the Bath Society of Arts, and numerous private art groups both in England and abroad. 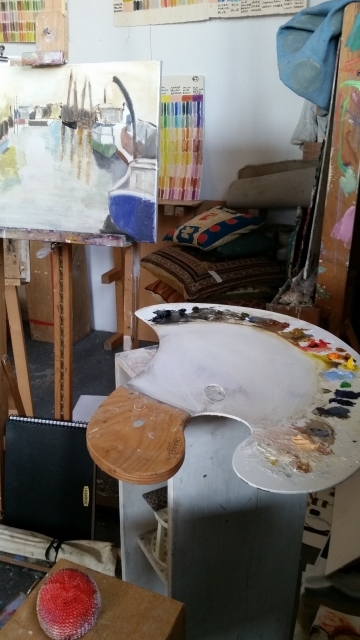 Since leaving Suffolk in 2010, Hugo’s vision has remained constant: to find ways of enabling his students to express their feelings and ideas in paint, so that they can reveal their own distinct voice, and to use insights into the art of the past as inspiration for future development and practice. To see comments, photos and outlines from previous courses, click here.